1. 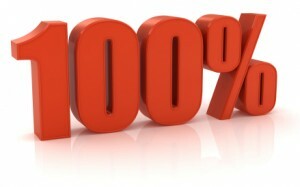 We are a small family Body Shop delivering 100% perfection on all our customers vehicles. 2. “It is your choice” Most Insurance companies operate an Approved Repairer System, where they will tell you where your vehicle will go for repair. Please remember it is your choice where your vehicle is repaired. 3. Some approved repairers operate a Staff Bonus System which ultimately leads to less hours being spent on your vehicle. 5. “Why are we not Insurance Approved Repairers”? Hopefully we have just explained why. That explained with customer insistence we continue to carry out many insurance claims per year. 6. “Non-Fault Accident” If you are the victim of a non-fault accident, speak to us first. We will organise your claim and make sure you are in a like for like courtesy vehicle for the duration of the repair. 7. For a Non Bias opinion direct from Channel 4’s dispatches Programme. Please read their report. Do you want to have a chat about your needs?